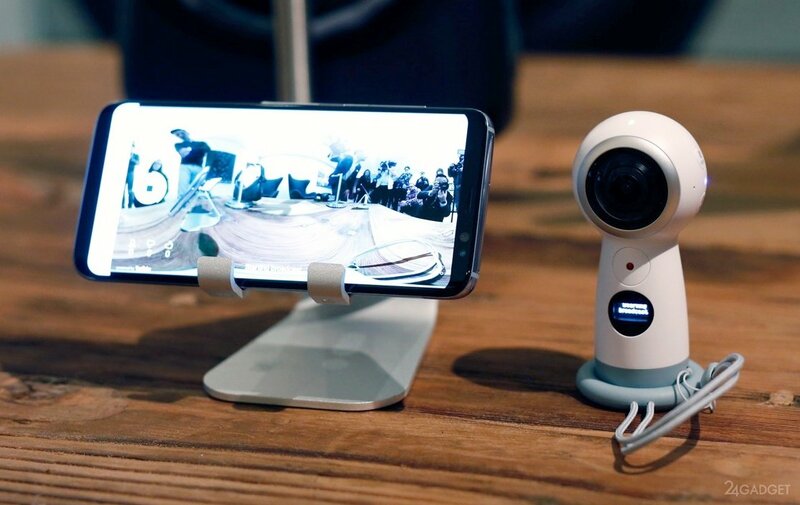 Simultaneously with the flagship Galaxy smartphones and Galaxy S8 S8 Plus docking station DeX and improved headset Gear VR, Samsung has introduced the second generation of the panoramic camera Gear 360. The manufacturer reworked the design, leaving the gadget a recognizable image. As before, the setup allows for 360-degree shooting, but in 4K resolution (4096×2160 pixels, at 24 frames per second) in addition, the opportunity to implement an online broadcast on Facebook, YouTube or Samsung VR through a synchronized smartphone or PC. The device is compatible with Android Samsung smartphones (not all), with Apple devices on iOS 10, since iPhone SE the iPhone 6, computers on Windows and MacOS. New model Samsung Gear 360 got two 8.4-megapixel CMOS sensor with a wide angle lens and aperture f/2.2, wireless modules Wi-Fi 802.11 a/b/g/n/ac with Wi-Fi Direct and Bluetooth 4.1, USB 2.0 Type-C, the battery capacity of 1160 mAh, a slot for memory cards of the format microSD up to 256 GB and protection from dust and splashes according to the standard IP53. Dimensions gadget constitute 100.6 × 46.3 × 45.1 mm, weight — 130 grams. 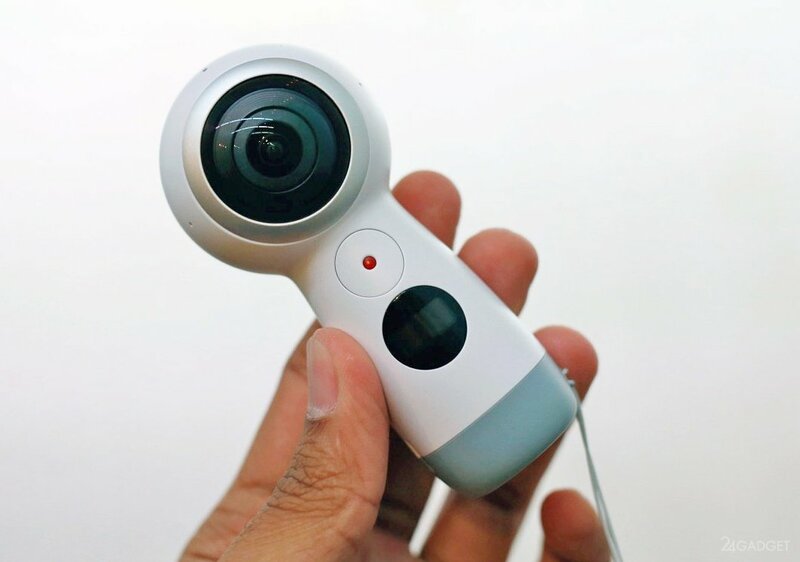 The second generation Gear 360 supports a variety of shooting modes, including Time Lapse, multiple variations of the viewing of the footage and a quick edit. Available photo effects, filters and other tools of artistic treatment. Photos have a resolution of 15 MP. Available as a two shot, and one camera. Among compatible with the Gear 360 Samsung smartphones include: Galaxy S8, S8, Galaxy Plus, Galaxy S7, Galaxy S7 edge, Galaxy note 5 case, Galaxy S6 edge, Galaxy S6, Galaxy S6 edge, Galaxy 5 (2017) and Galaxy A7 (2017). 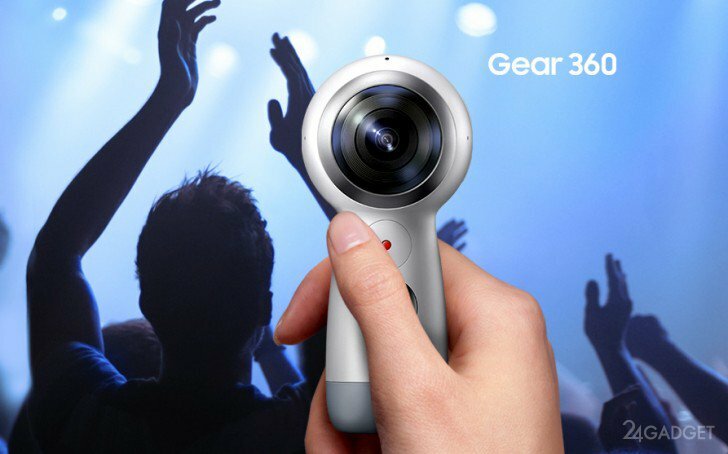 Information about the date of commencement of sales and the cost of new Samsung Gear 360 are not yet available. We will remind, the first version of the panoramic camera Gear 360 was offered for $349. 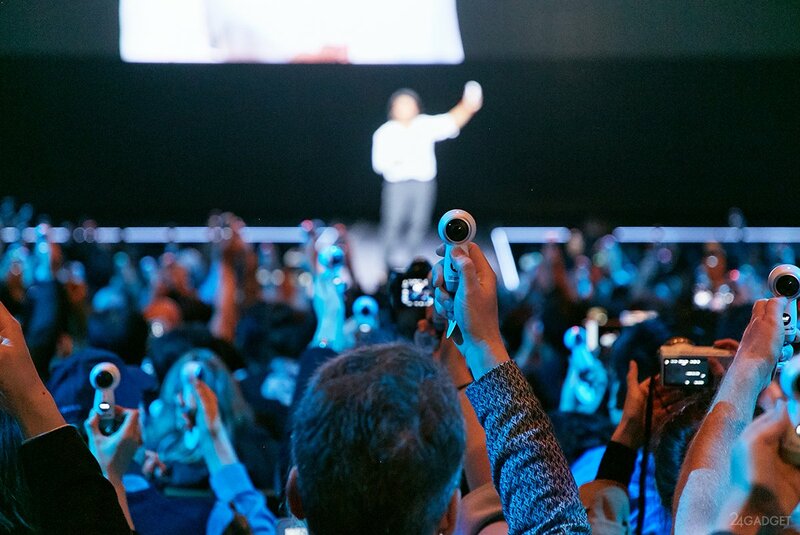 You are reading an article on the Gear 360 is redesigned and new (12 photos + video). All materials on the site Gadgets F, а также и статья Gear 360 is redesigned and new (12 photos + video) - written for the purpose of information enrichment and we are happy if you like our magazine.